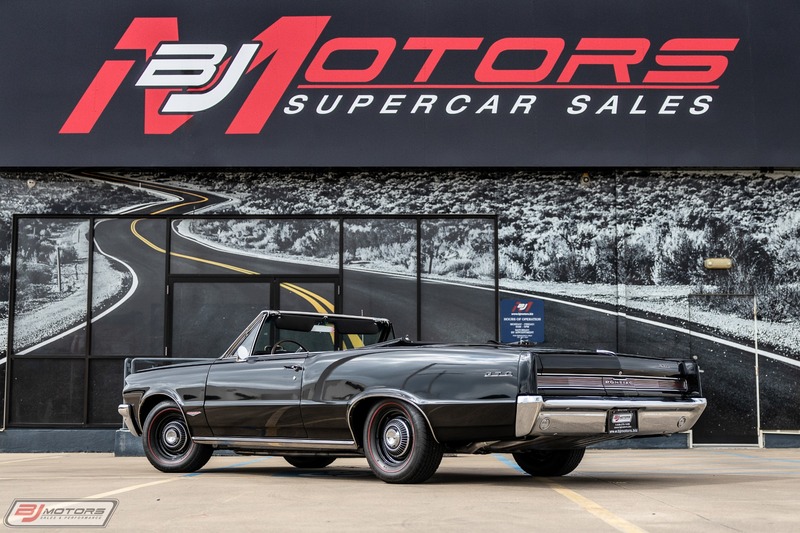 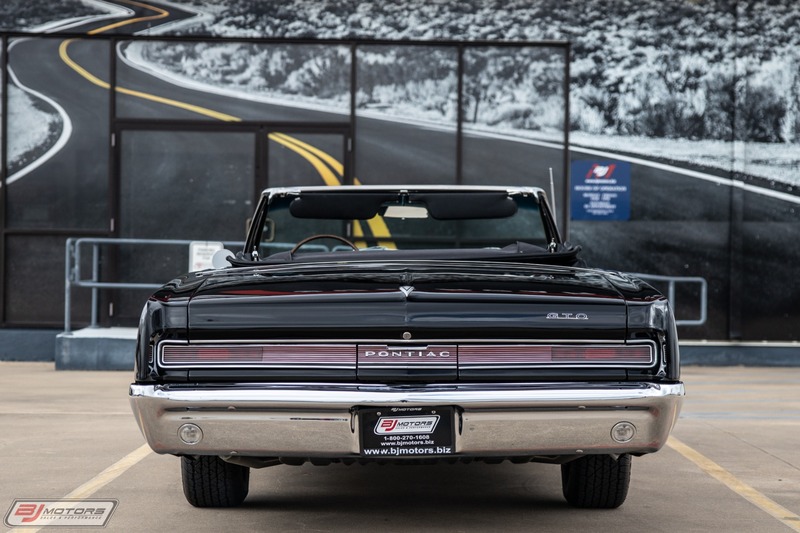 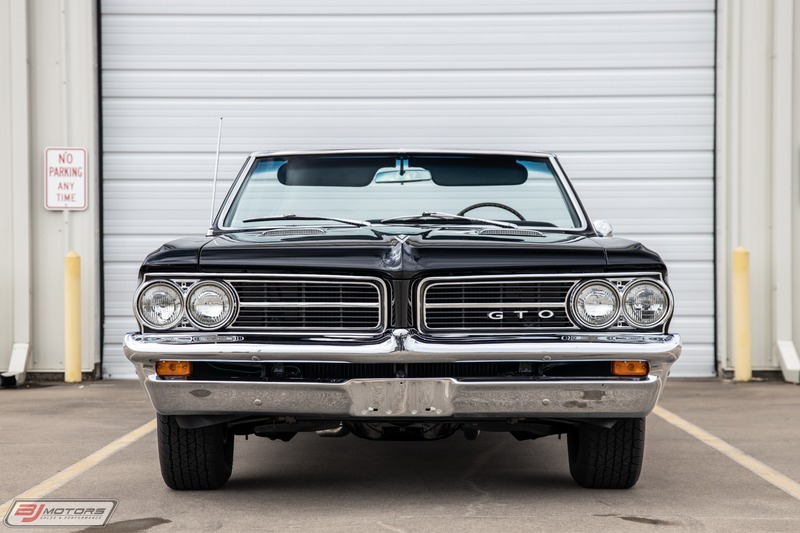 BJ Motors is proud to offer this 1964 Pontiac GTO. 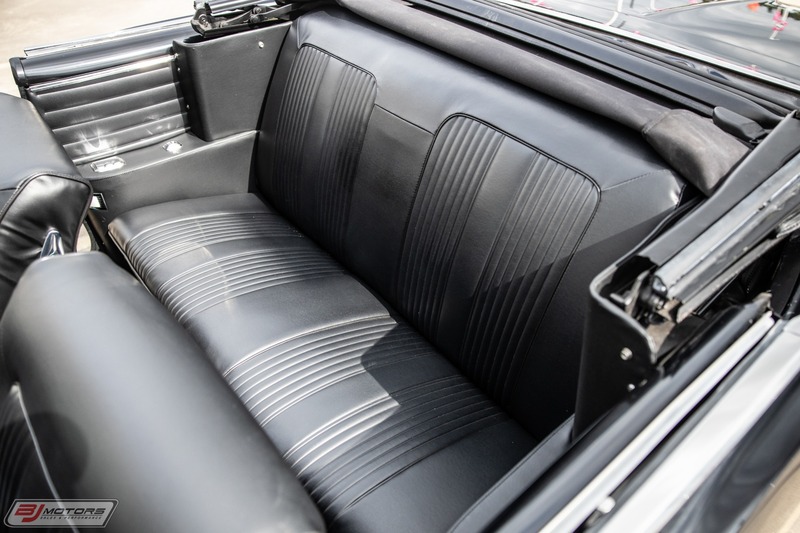 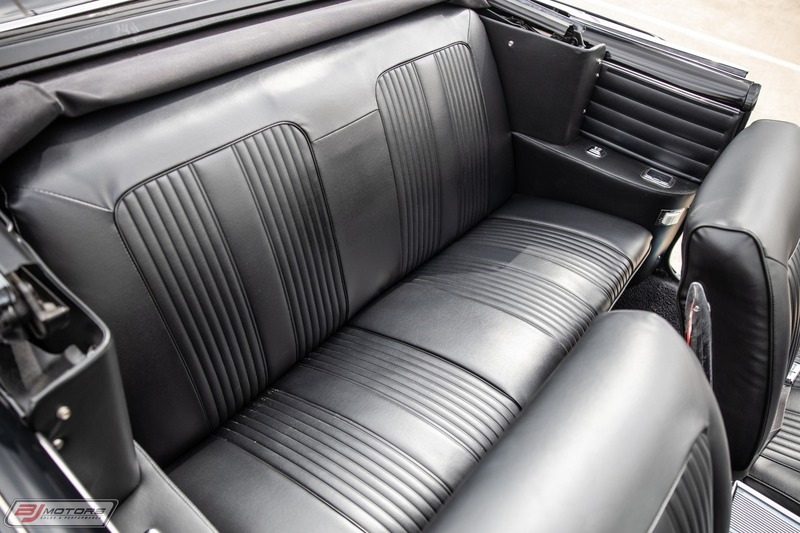 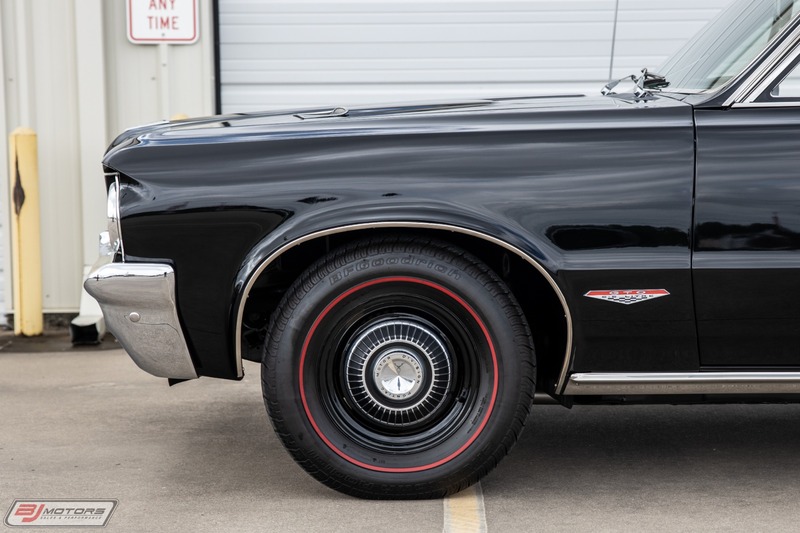 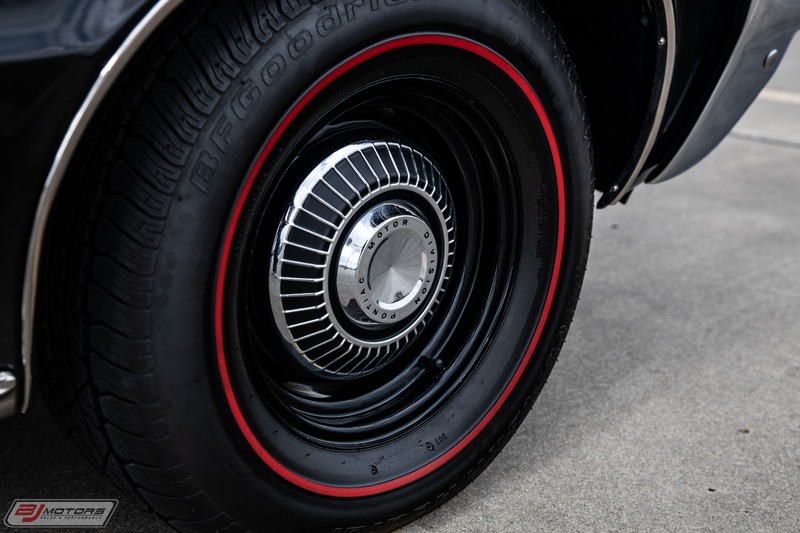 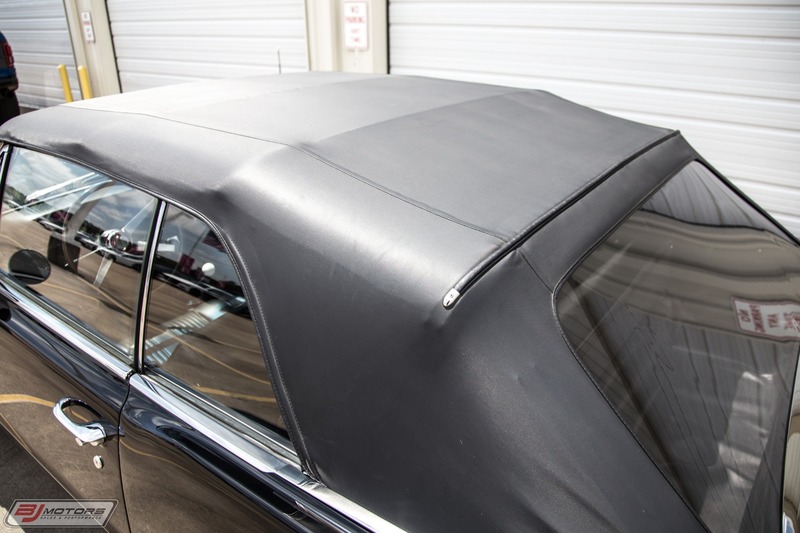 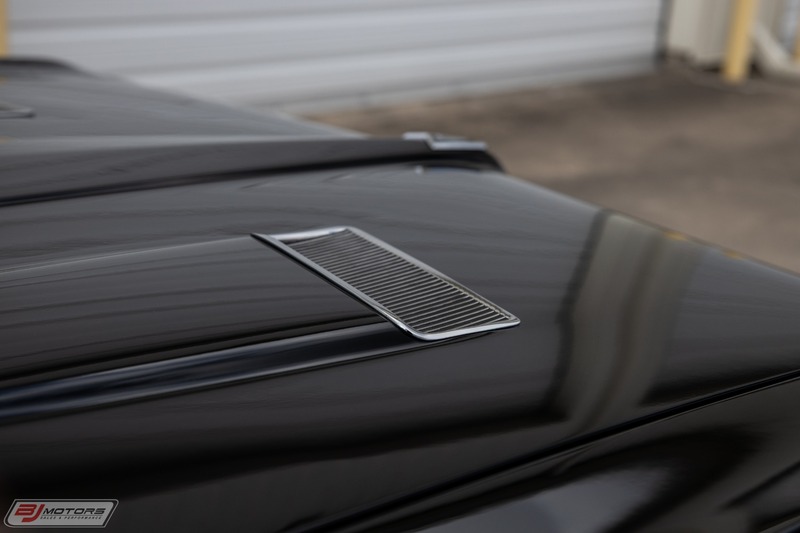 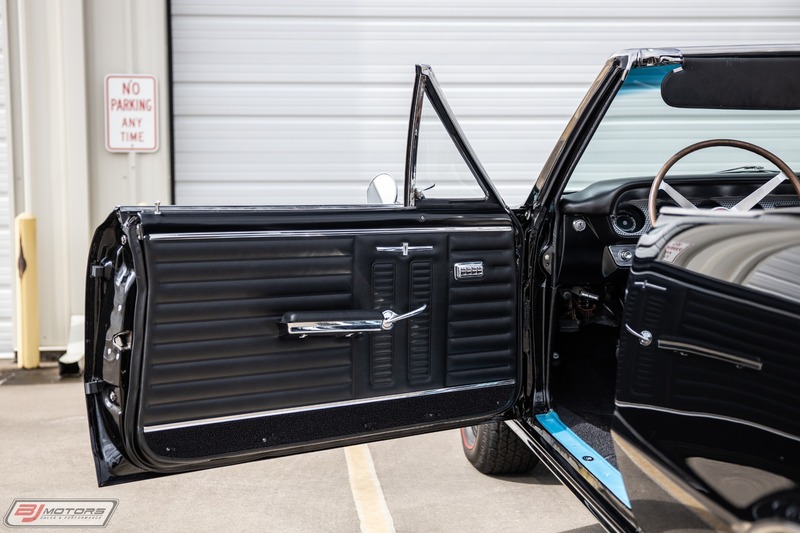 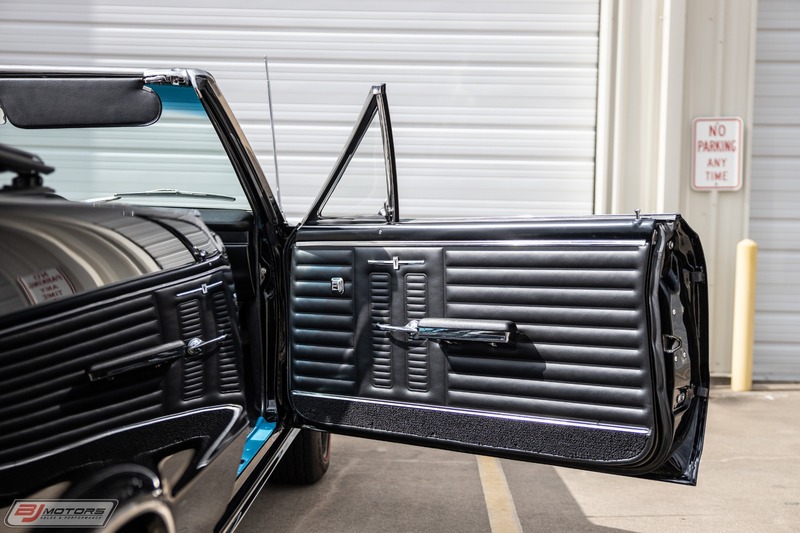 This is a completely restored example, with all documentation from Custom Auto Body in Ohio. 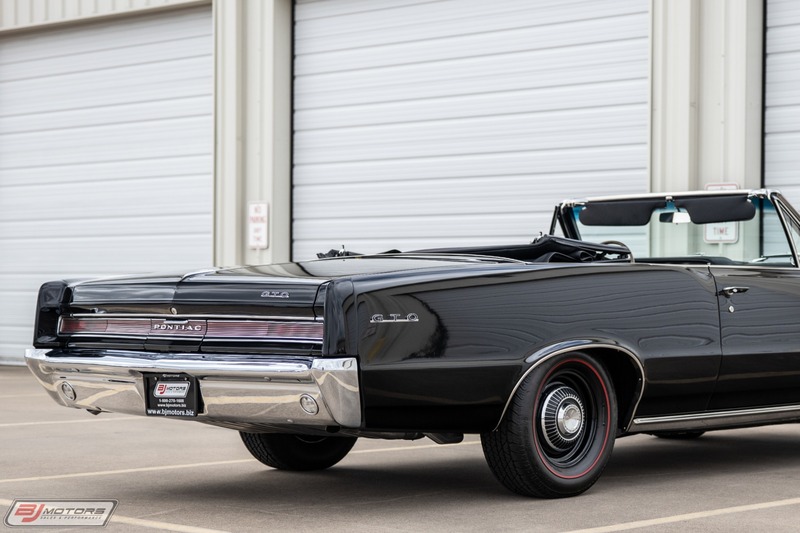 The car is a Style 67 Car, which sports the Convertible Top. 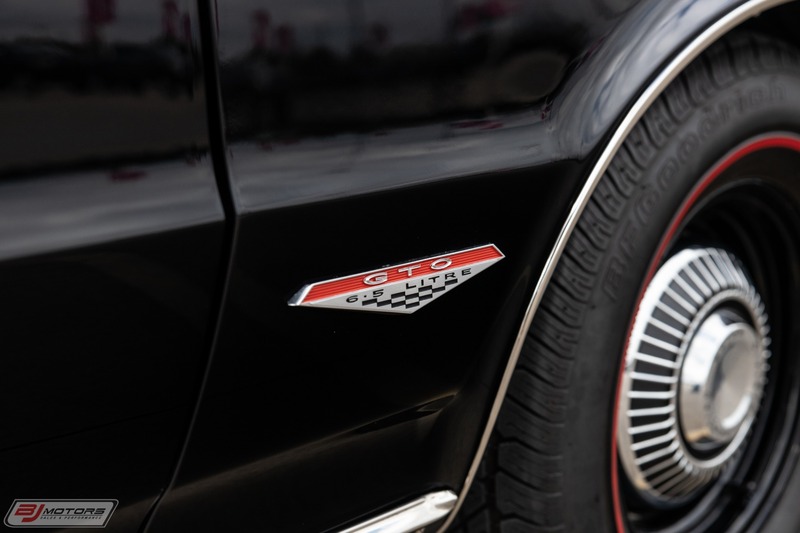 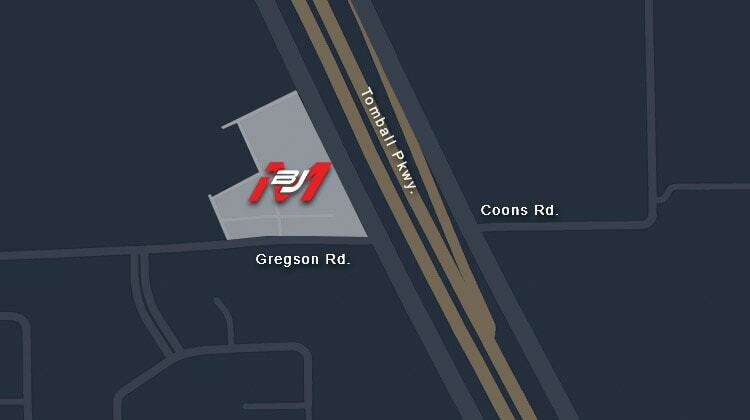 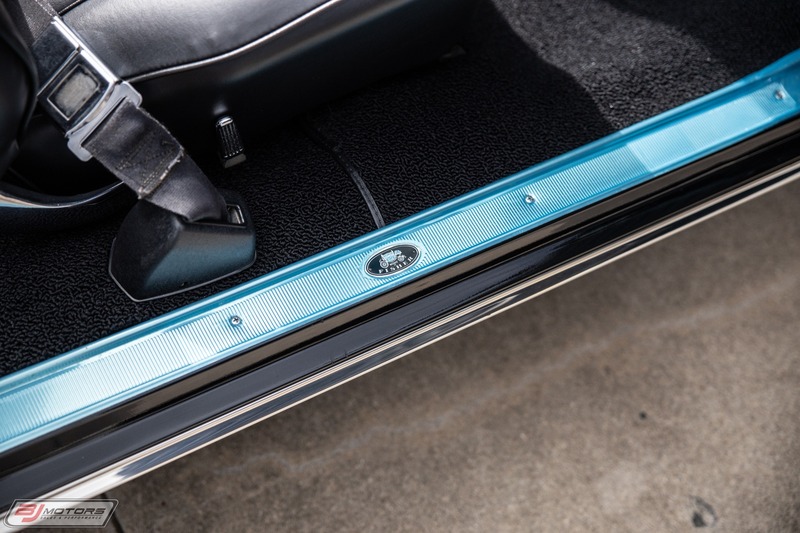 The car is also equipped with the Tri-Power 389 V8 Engine paired with a 4-speed Manual Transmission. 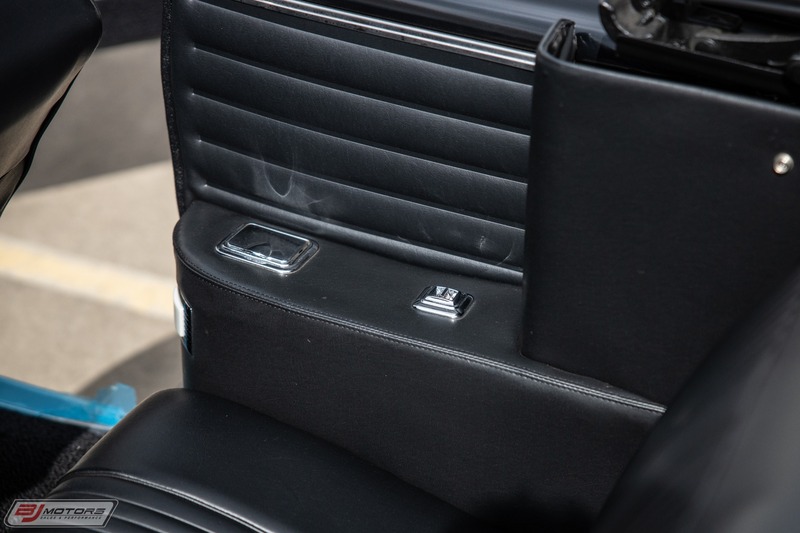 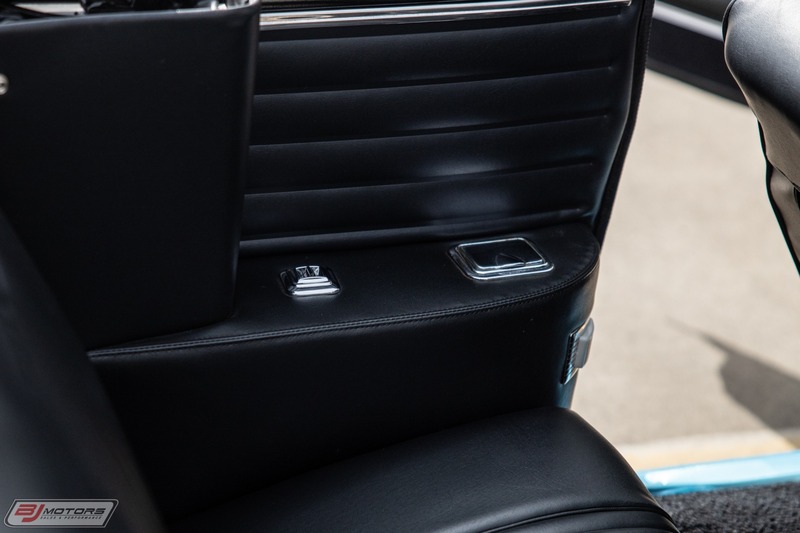 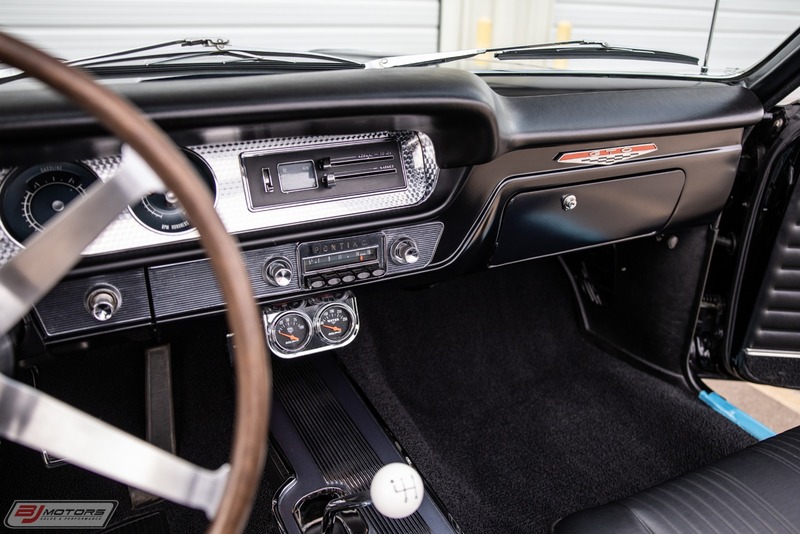 The car is immaculate inside and out and was meticulously done. 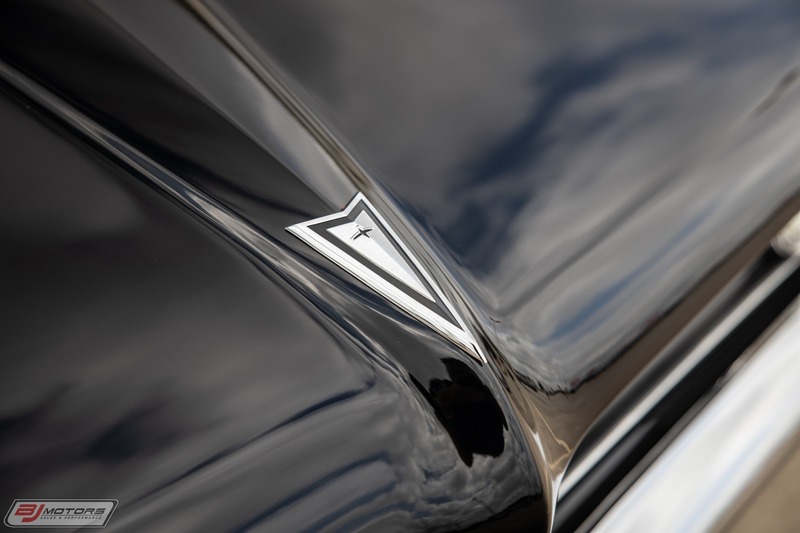 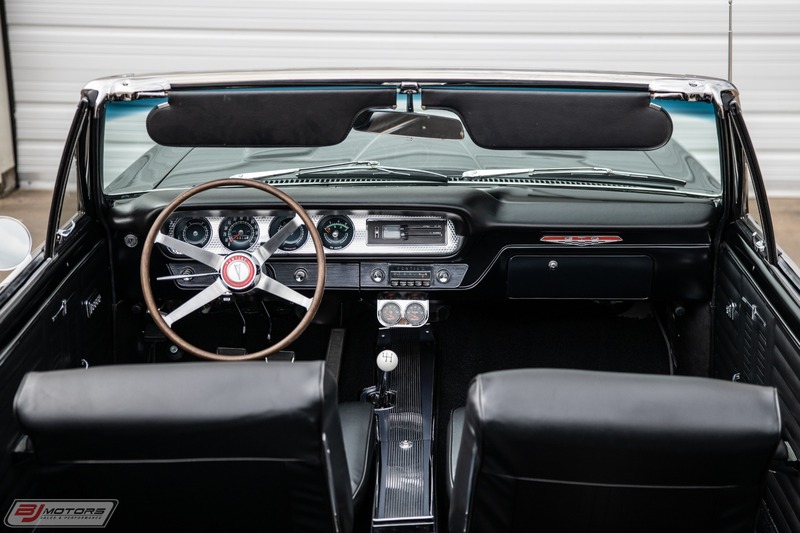 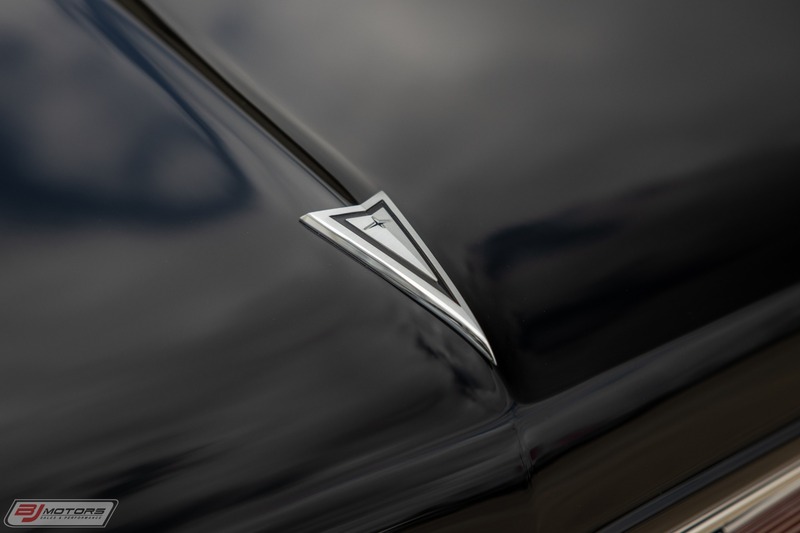 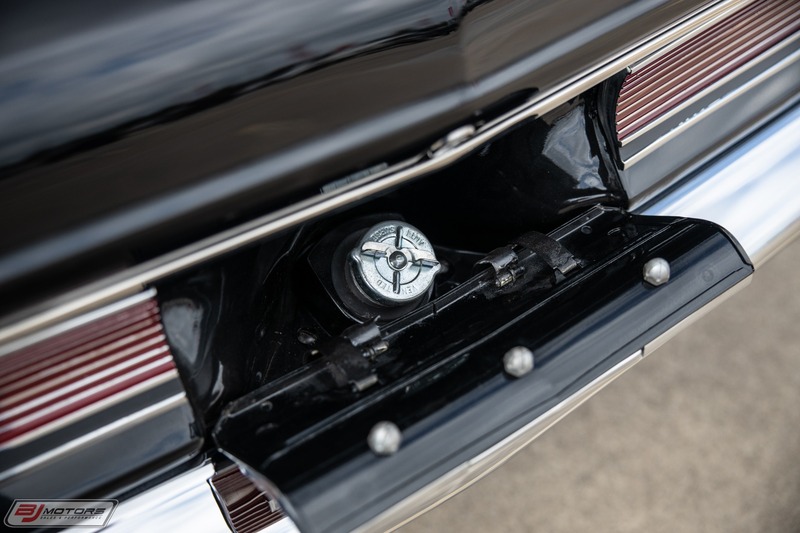 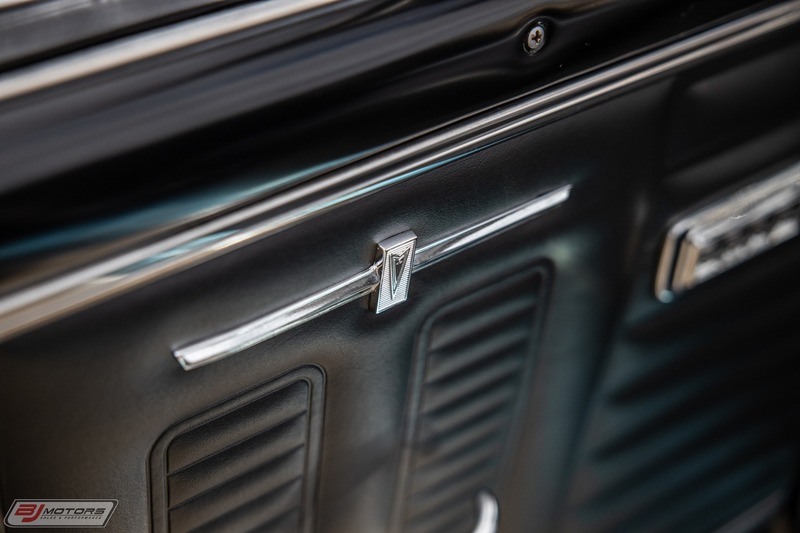 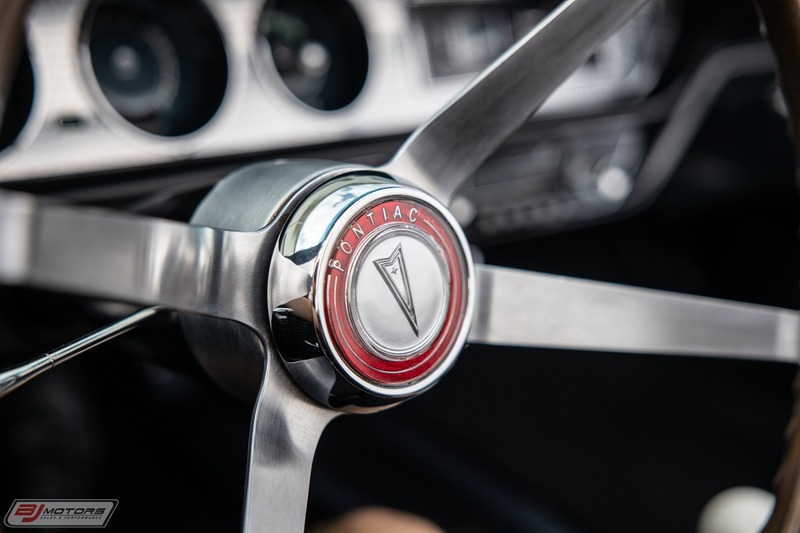 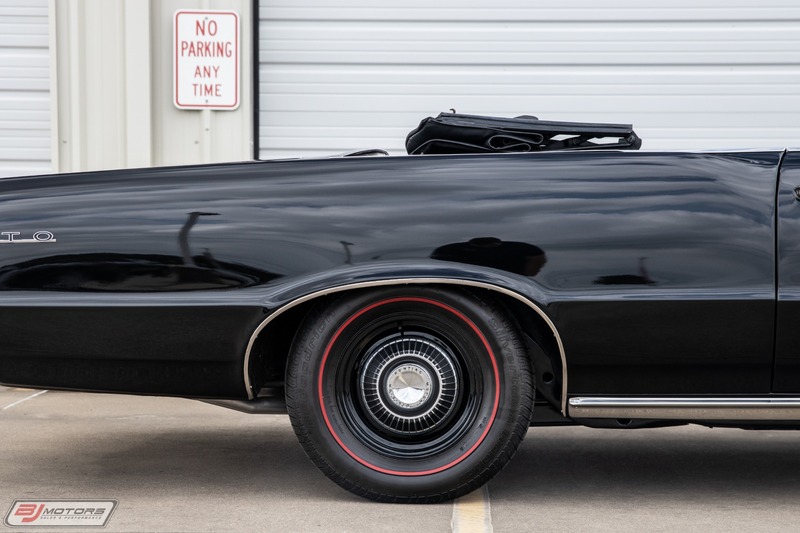 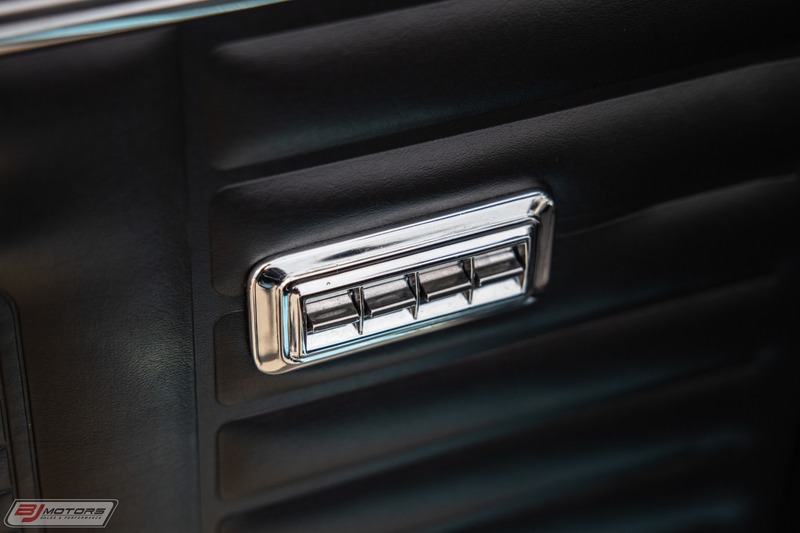 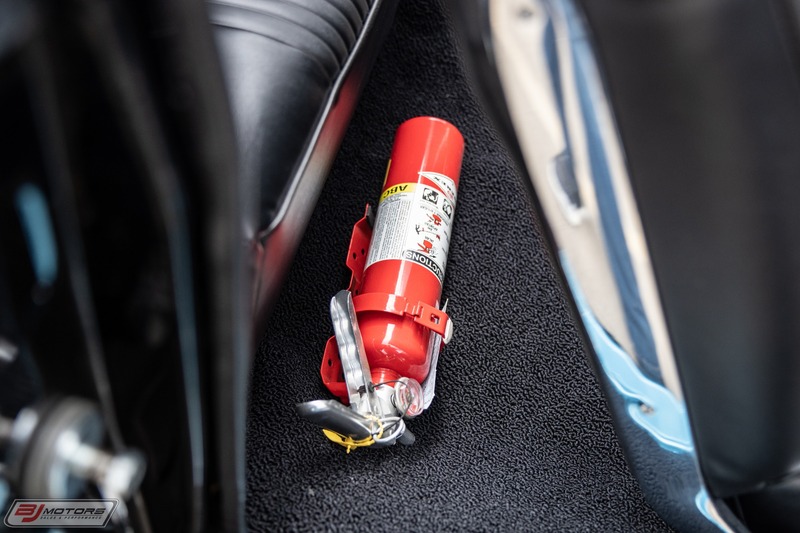 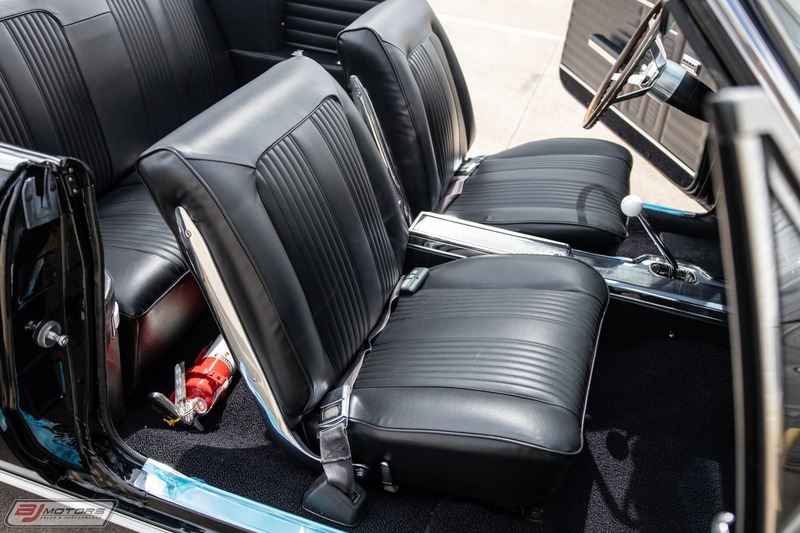 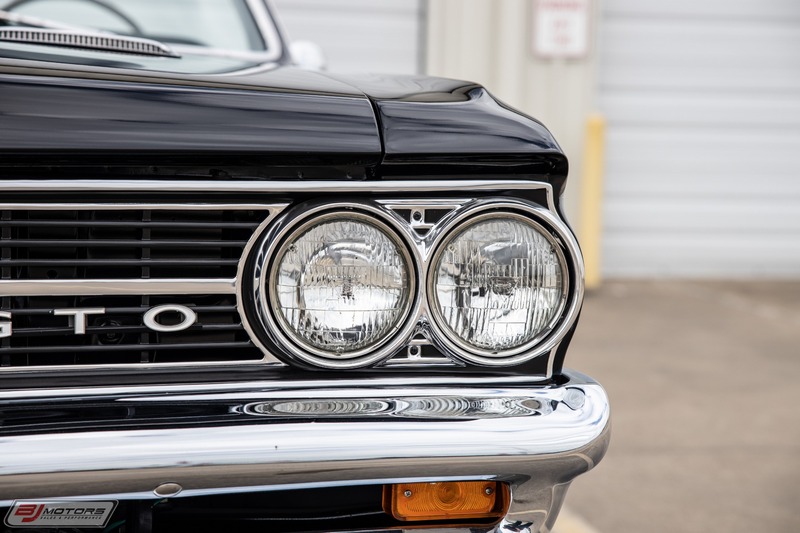 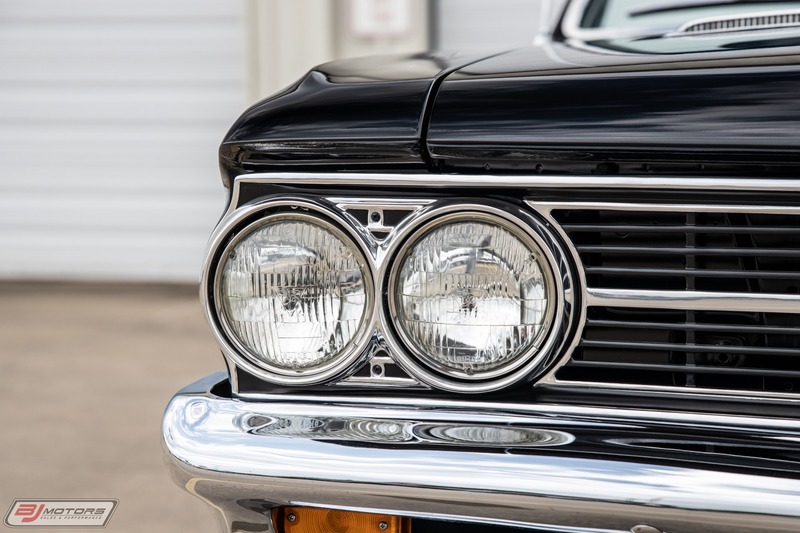 Just as Ford was developing its Mustang for the famous '64 April launch, the folks at GM were already delivering the car often credited with starting the muscle car craze. 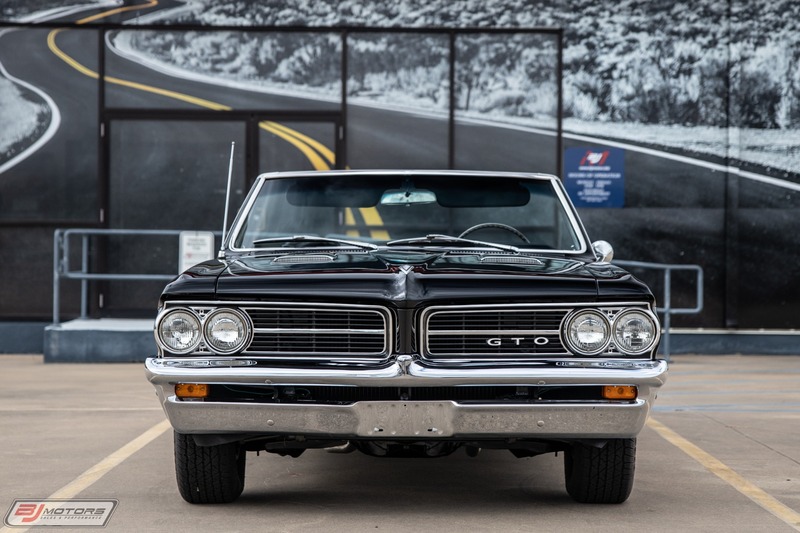 Launched in October 1963, the GTO would evolve into one of the definitive American performance cars of the decade. 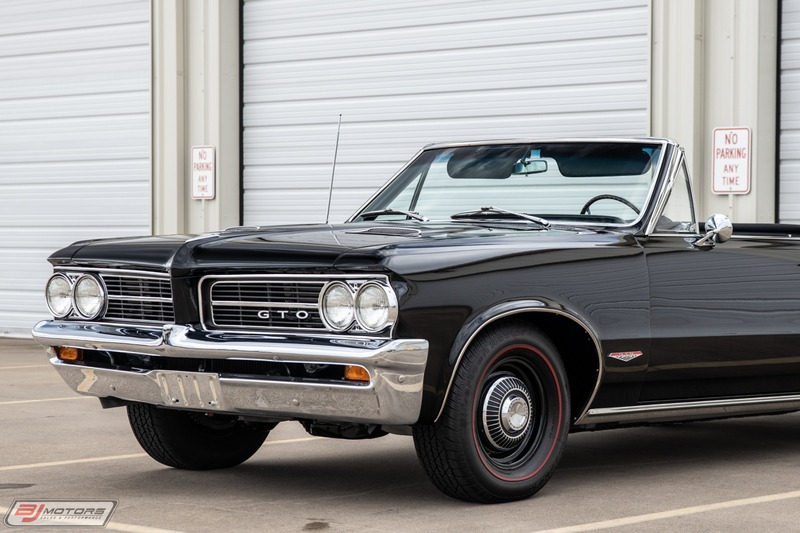 The 1964 Pontiac GTO was based on the Tempest Le Mans, and featured a 326 cid V-8. 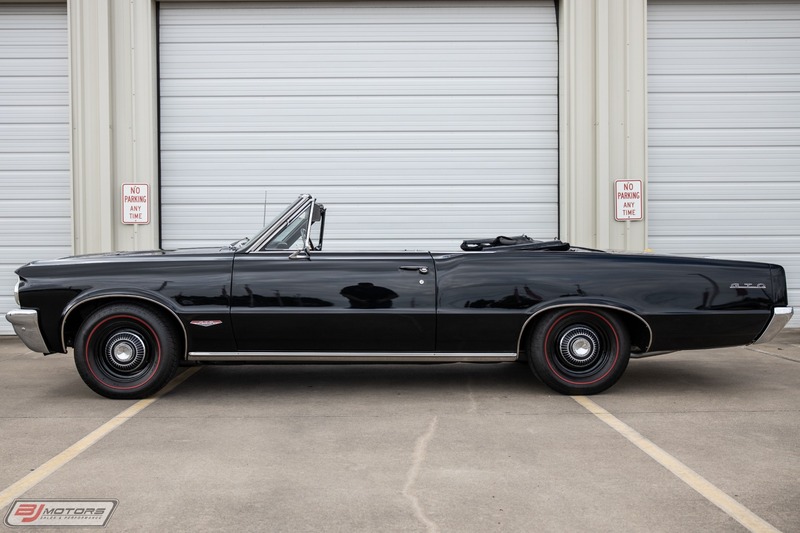 GM had pulled out of racing in 1963 and Pontiac was stuck with an institutional limit of 330 cid on mid-sized cars, but an option package for the Le Mans would change all that. 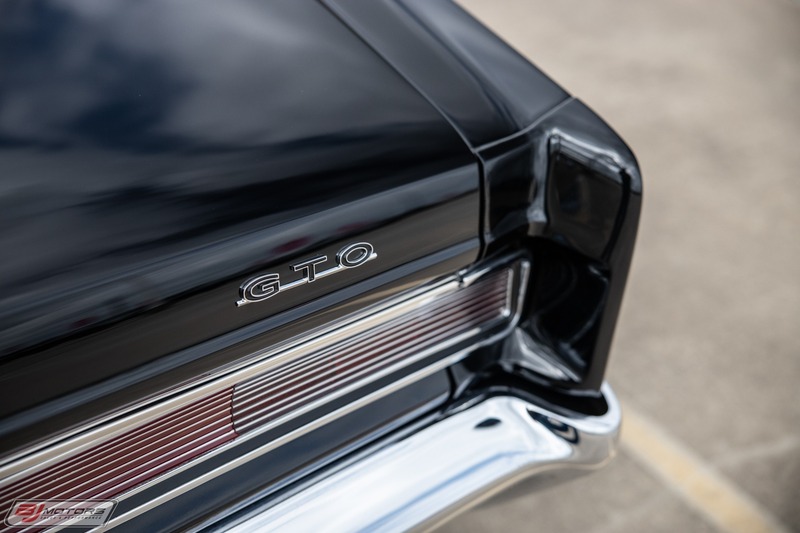 The $295 GTO package offered a 325 bhp 389 cid V-8 with four-barrel carburetor, high-lift camshaft and 421-style cylinder heads. 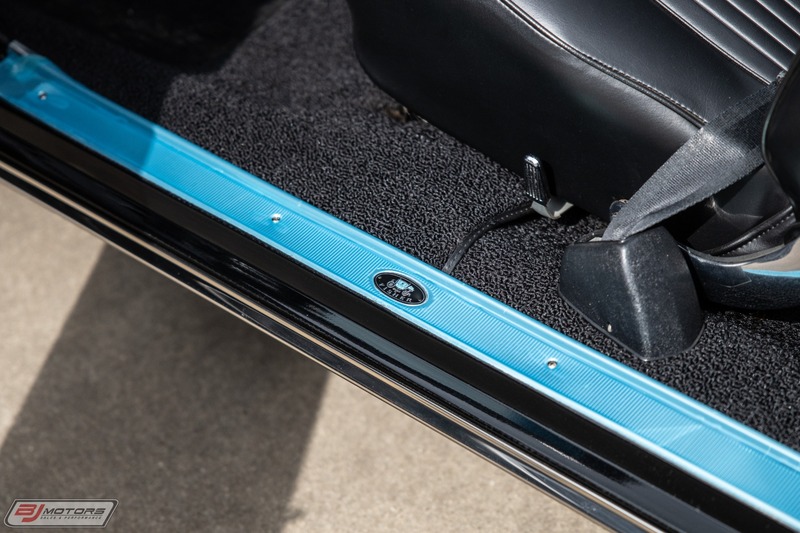 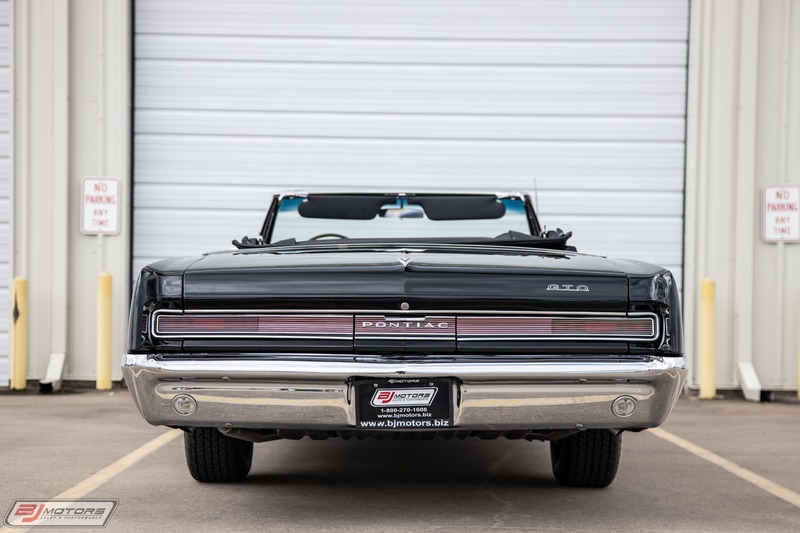 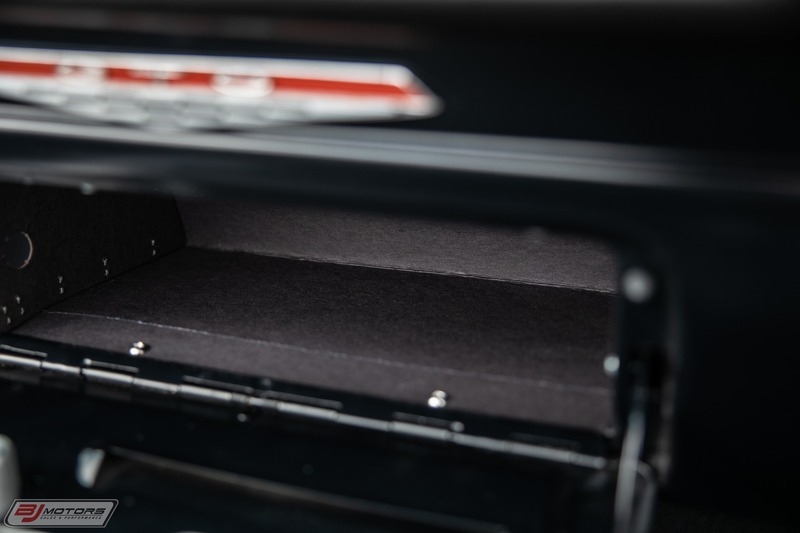 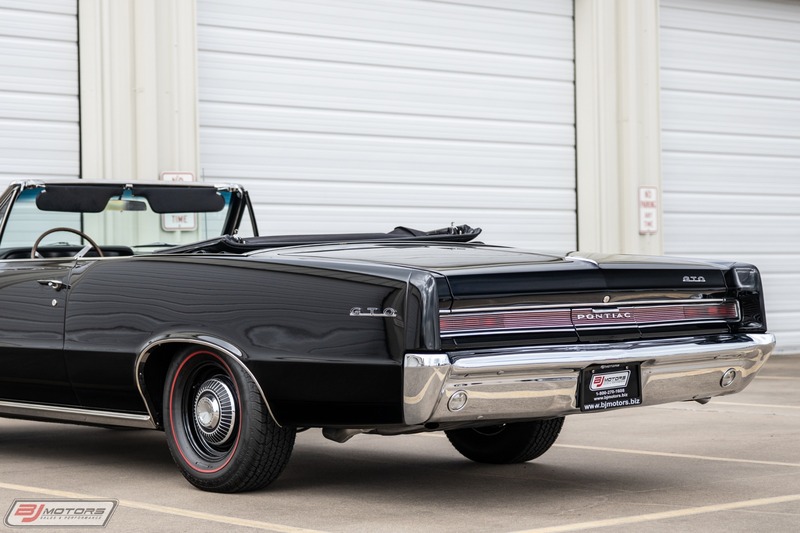 Also included were hood scoops, stiffer springs and shocks, anti-roll bar, dual exhausts, wider wheels, red line tires, engine-turned dash, bucket seats, and 2-speed Super-Turbine automatic transmission. 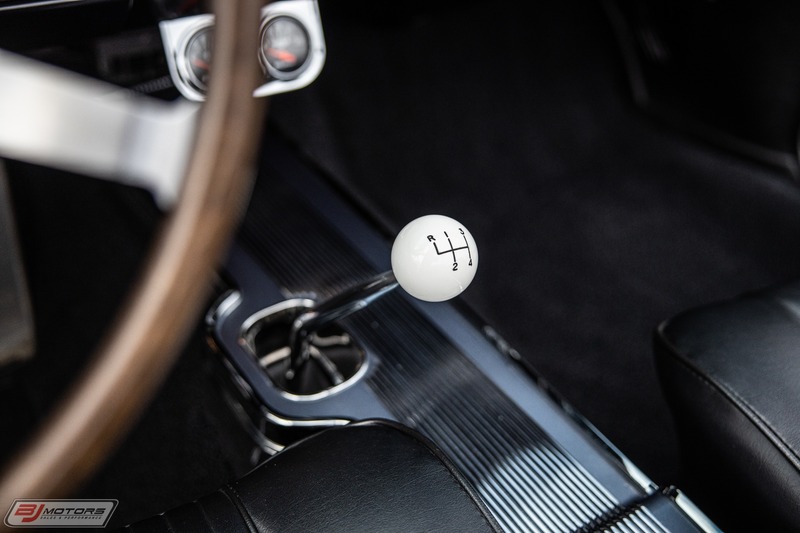 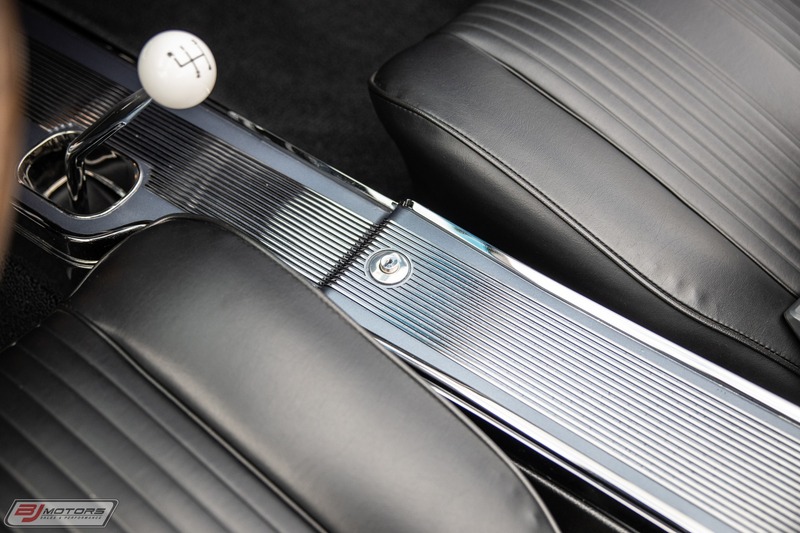 A 3-speed manual gearbox was offered with Hurst shifter and the option of either the Muncie wide-ratio M20 or close ratio M21 4-speeds. 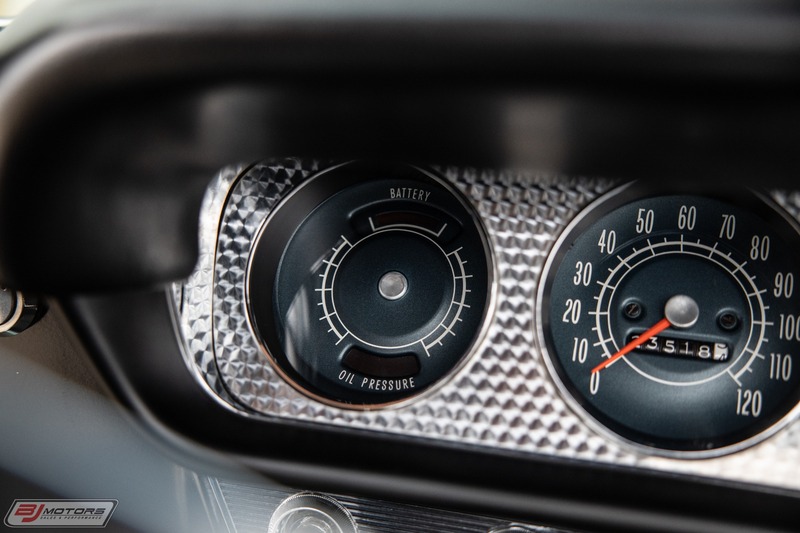 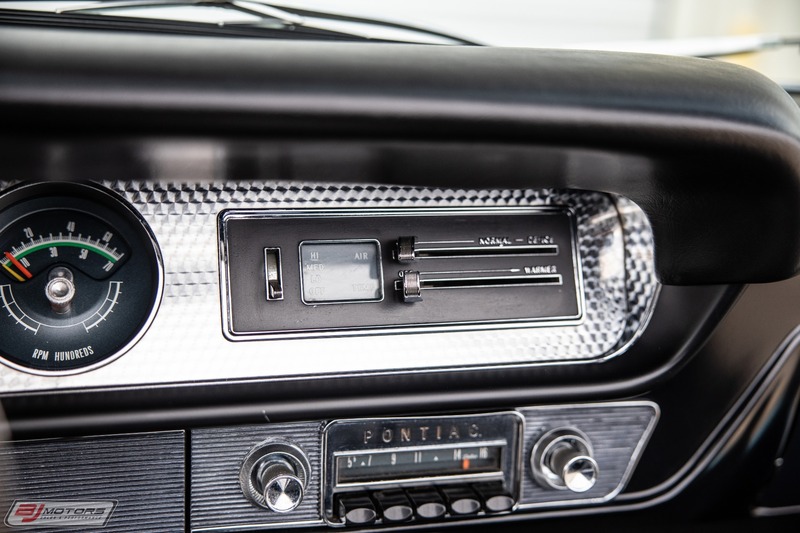 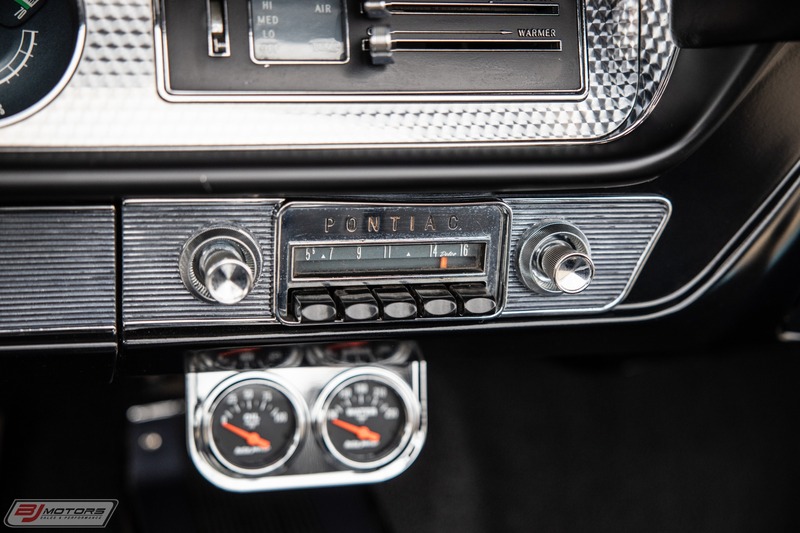 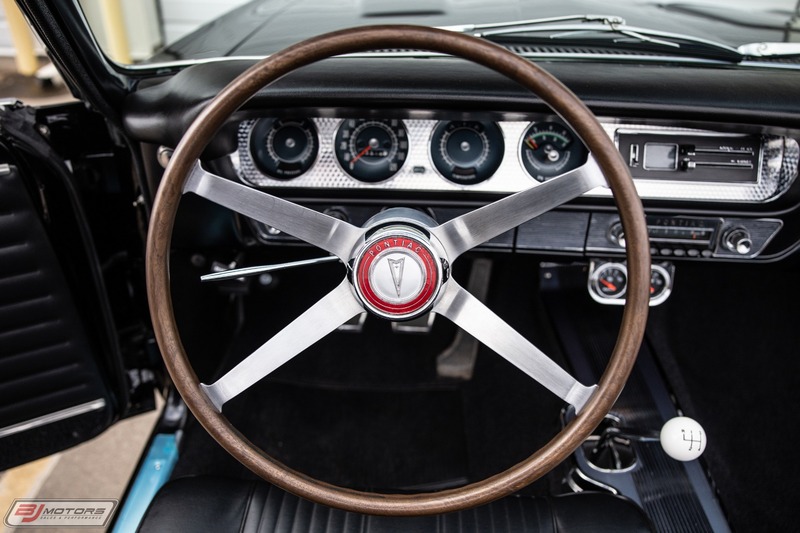 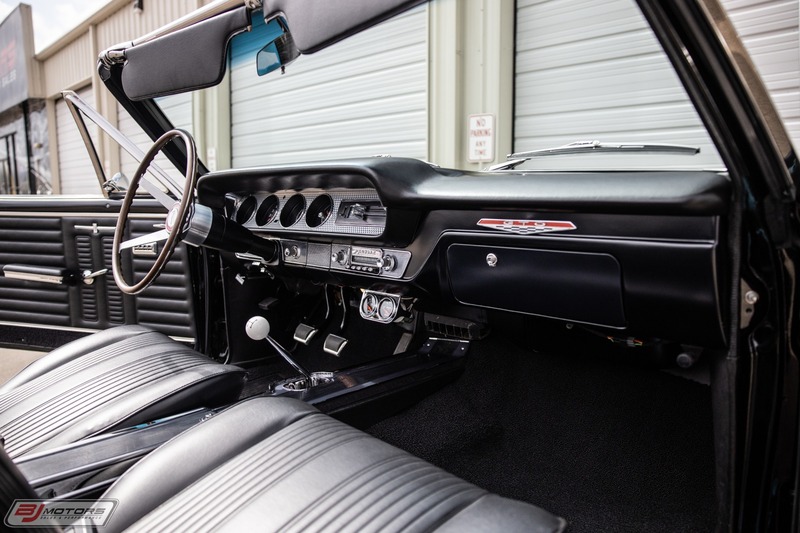 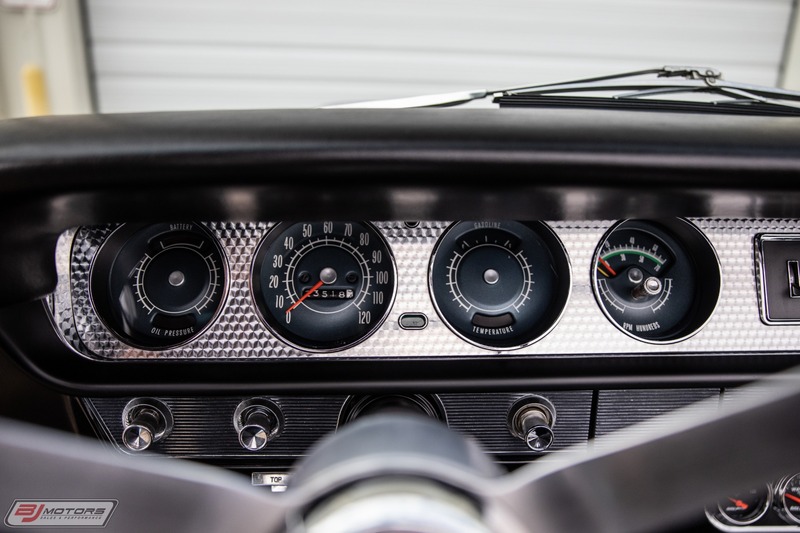 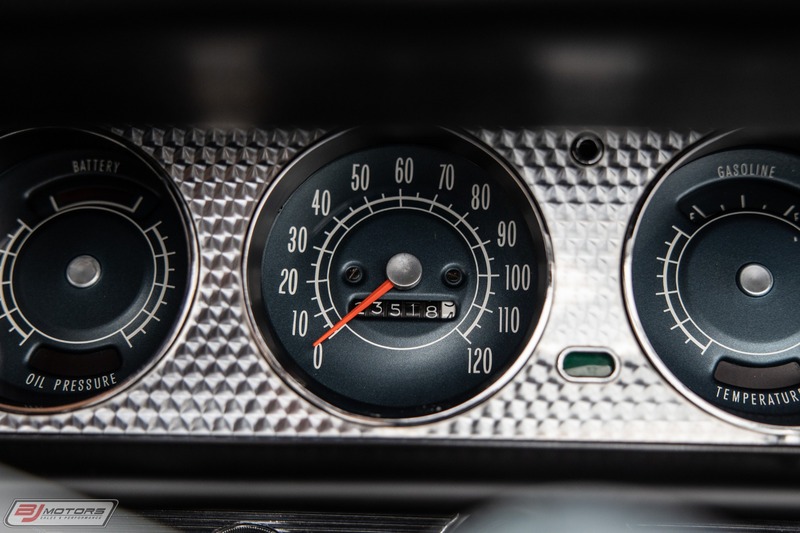 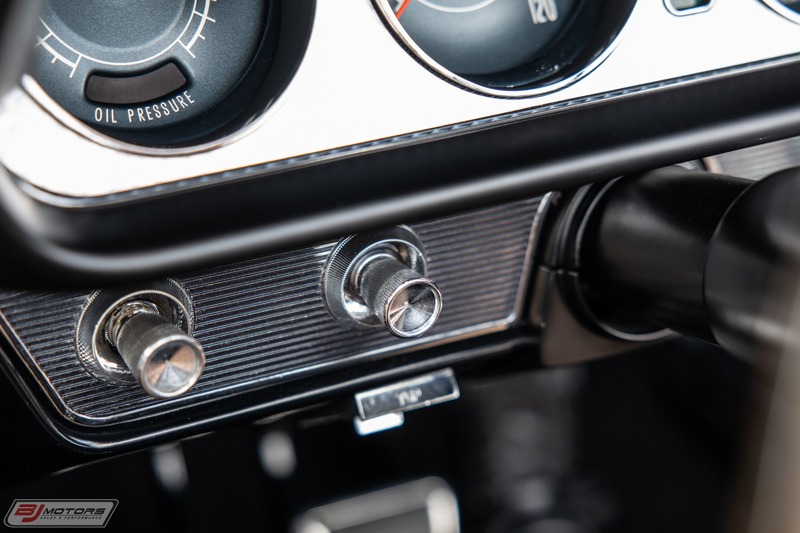 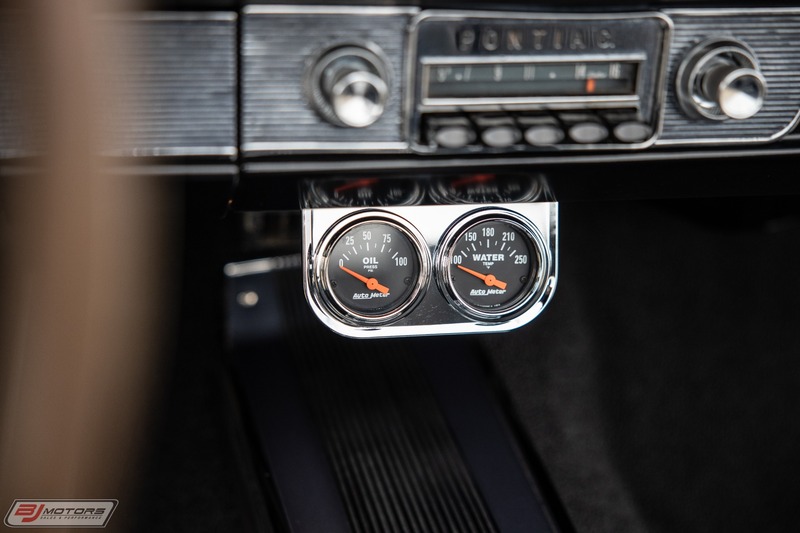 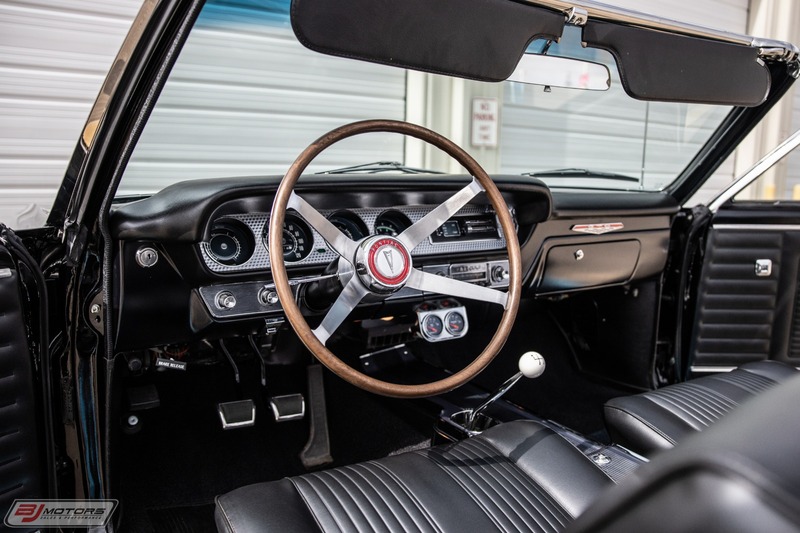 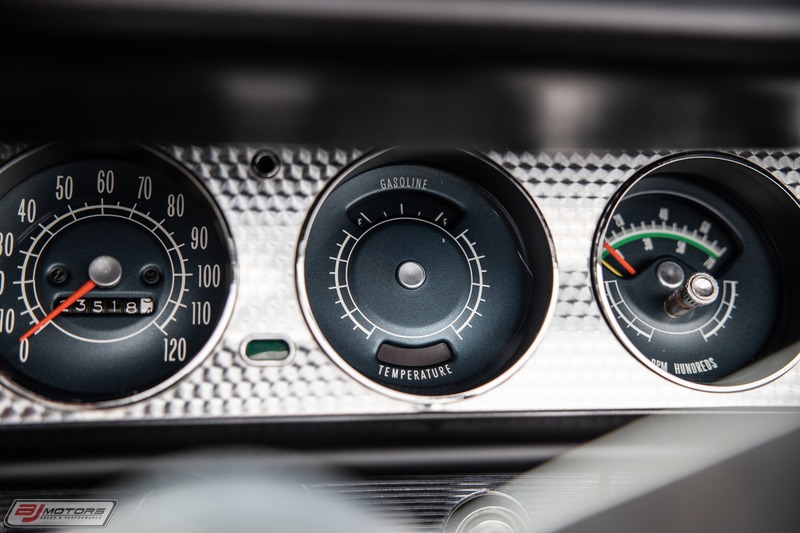 The dash featured four large gauges with speedometer, fuel temp, oil pressure and charging lamps and either a rally clock or a 7,000 rpm tachometer. 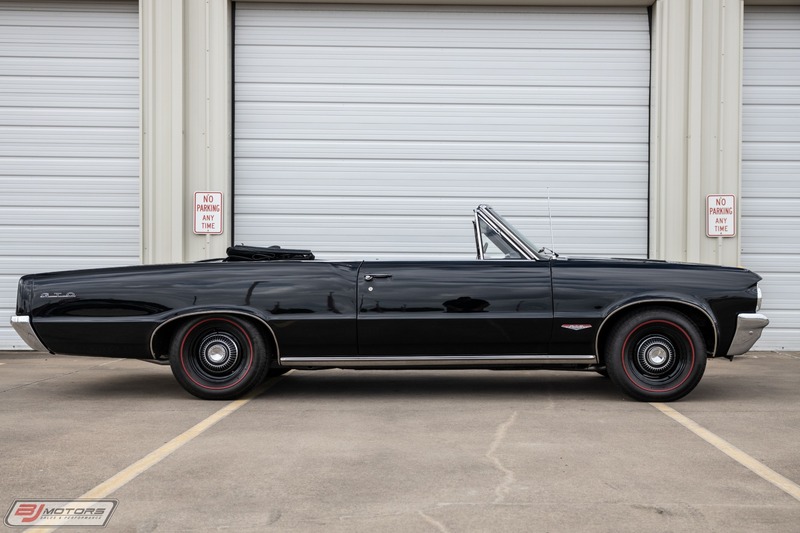 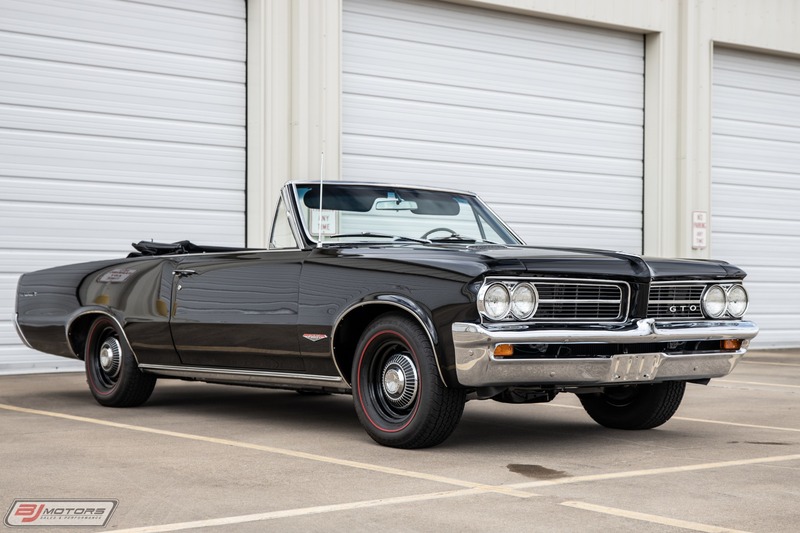 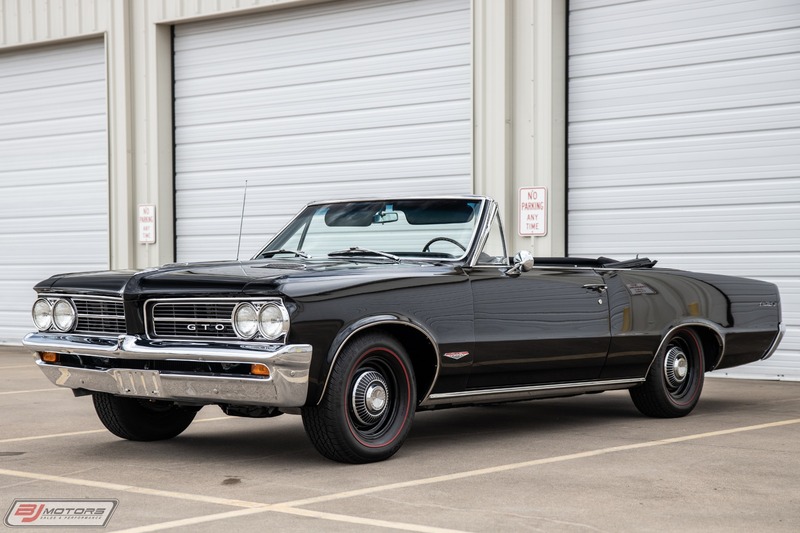 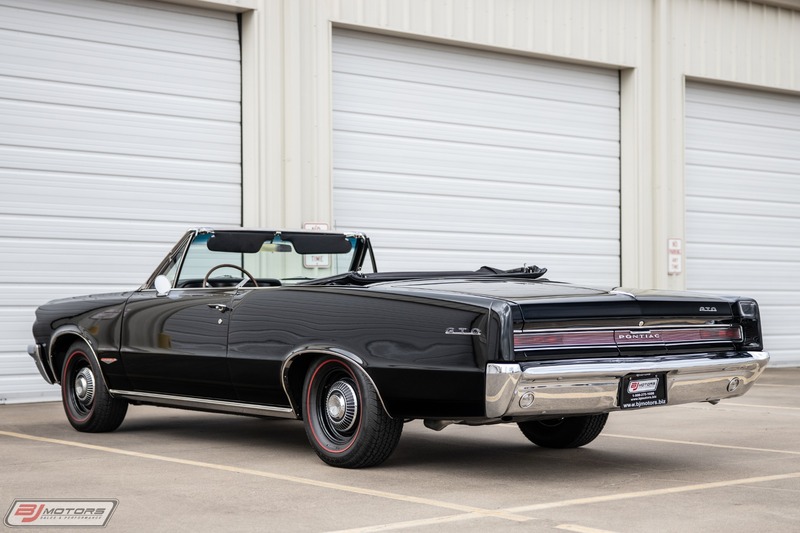 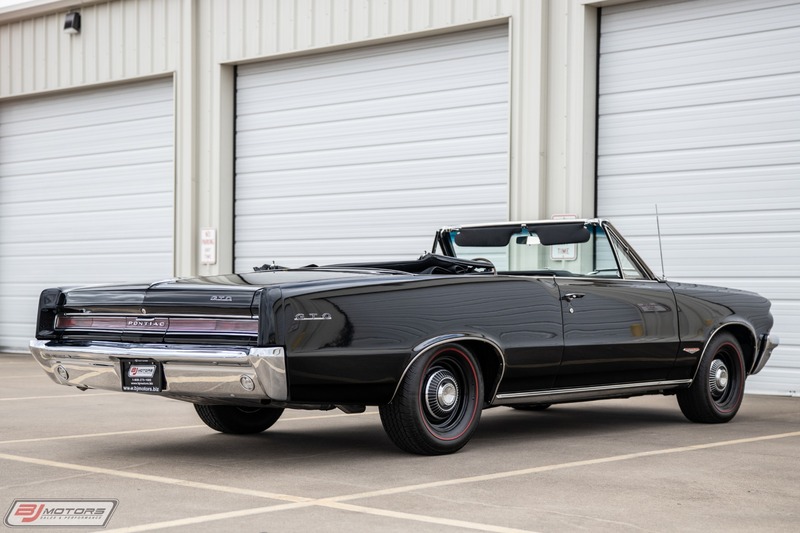 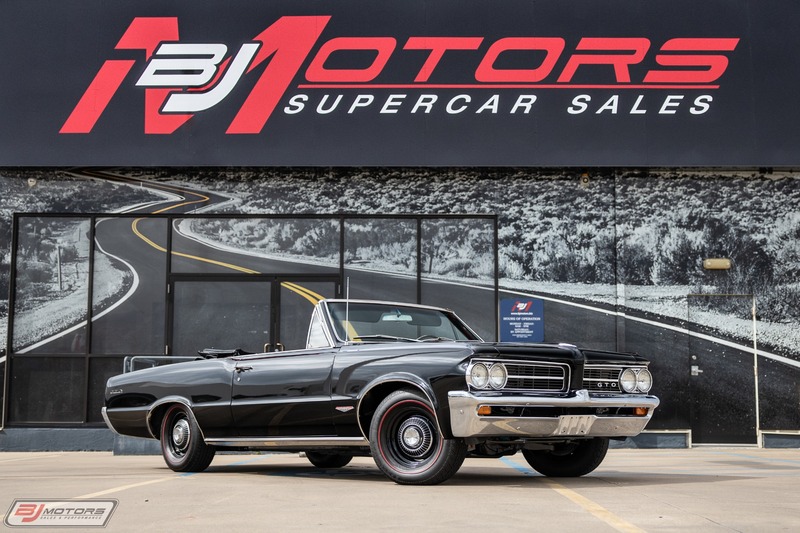 The GTO package was available on the two-door Coupe, two-door Hardtop and Convertible, and was immediately popular with 32,450 sold. 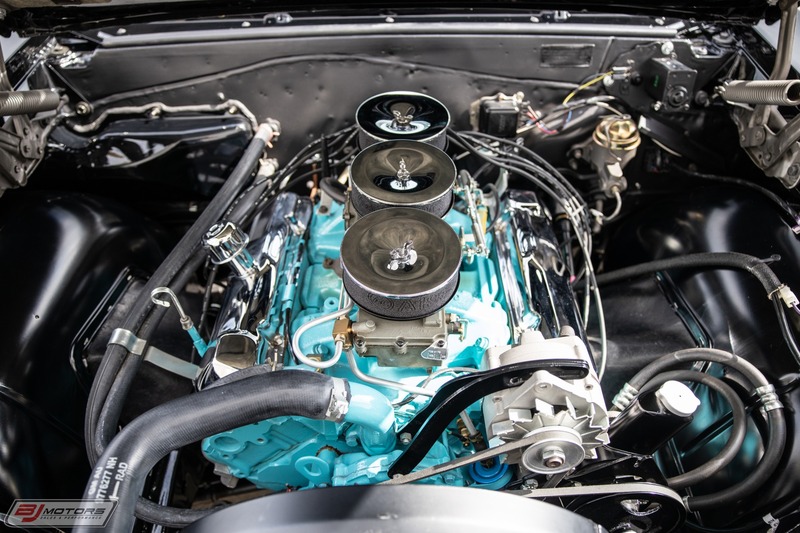 Most buyers (24,205) stepped up for the four-barrel package, but 8,245 bought the desirable Tri-Power carburetor option, good for 348 bhp at 4,900 rpm. 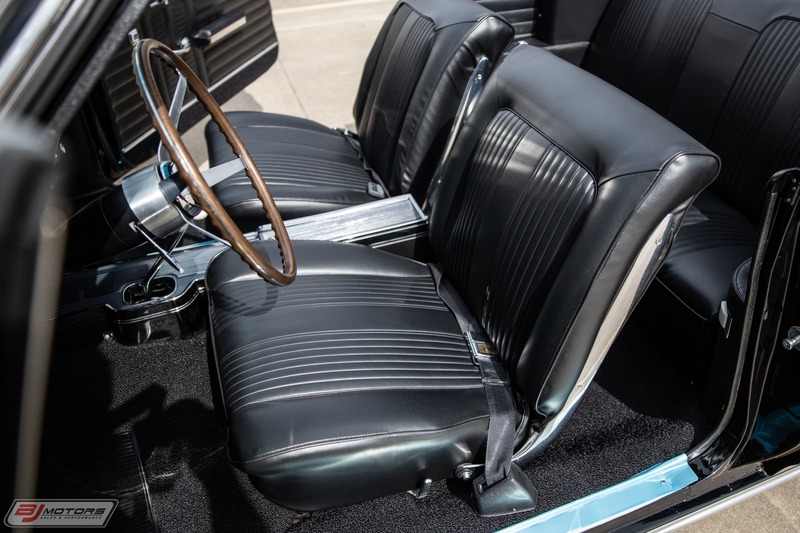 The Coupe started at $2,491, the Hardtop at $2,556 and the Convertible at $2,796. 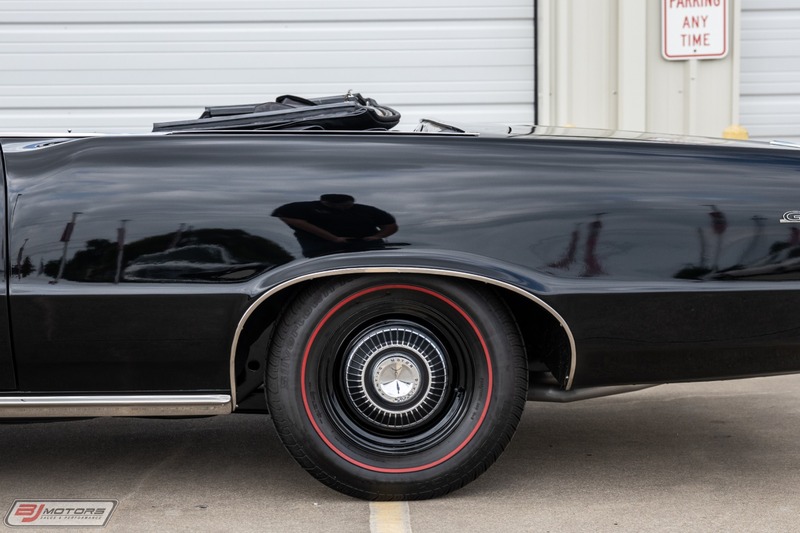 All documentation from the restoration will be included with the car, as well as a full photo album documenting its progress and several memorabilia items. 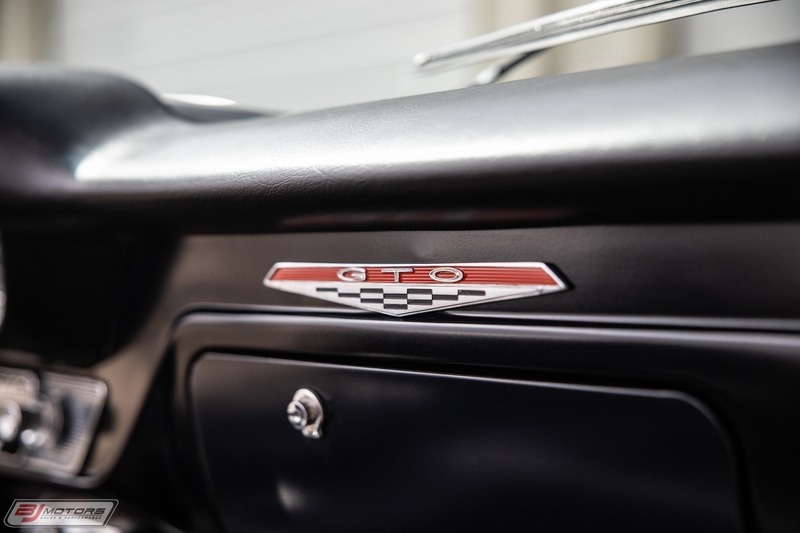 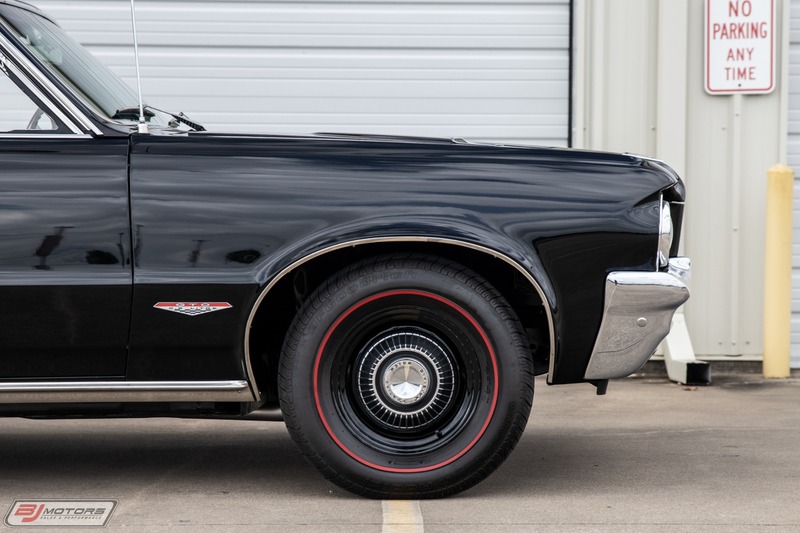 If you are looking for a completely stock and accurately restored early GTO, look no further than this stunning example.